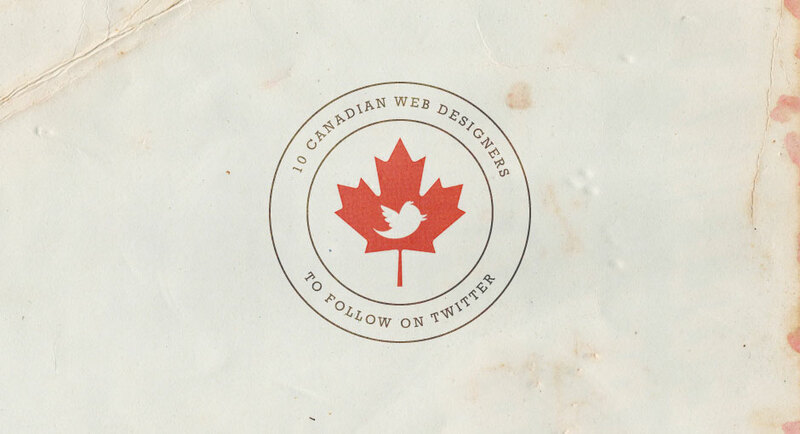 I wanted to share some of my favourite Canadian web designers that I follow on Twitter. If you don’t follow any of these fine looking people you are missing out. If you have any follow suggestions please share them in the comments area below. I will be making more of these follow lists in the future so any suggestions are welcome. Next week’s list will feature 10 Canadian women Web Designers I follow. Account Manager at Carbon Ads and blogger at www.inspiredology.com. Web/UI designer, entrepreneur, beef & bar aficionado. Puts pants on one leg at a time. I’m a pixel pusher at Galpin Industries. Graphic & web designer (www.mattjumper.com). Creator of @iamtrendkiller and intern @OneMethodDotCom. Co-founder of ResIM (web and interactive agency), father, husband, sports nut. Creator of themify, ndesign, webdesignerwall, bestwebgallery, and icondock. And a big Starbucks fan. Freelance Designer (www.projekt19.com) specializing in Web and Graphic Design. Blogger at www.inspiredology.com. Partner at Teehan+Lax – We create experiences for anything digital. Currently working on TweetMag 1.1 amongst other things. Hey Beth! Thanks for your comment. I totally agree with you. I wish I knew more Canadian female Web Designers. I think I’m going to make an all female list that is not Canadian specific in the near future. If you have any suggestions of Webd Design ladies I should be following on twitter, I would love to hear from you. I am also disappointed to not see any women on this list. There are some great women in this industry as well. List of Women in Web Design is coming soon Stay tuned! Web Designing is in latest boom now..Number of people wants to start their career in this field.. This post explains information about different web designers..I am glad that i visited this blog and come to know about it..
That’s a great list ! Am really inspired! For me, these people are the top web designer in Canada. So if you’re into this kind of job it’s a must that you should follow them so you can get tips or ideas when it comes to web designing.